Out of Stock - Contact us for more information. The Fusion 400 micro flow syringe pump is currently being phased out of our product line. We look forward to serving you with new, exciting products in the coming months. If you have any questions, contact a Customer Care representative at +1 281-277-5499 or sales@chemyx.com. Designed to deliver precise, reproducible flow rates as low as 2.0 pL/min, this four-channel system is optimized for researchers who require a simple, highly precise operation for complex, low flow profiles. Perfect for microdialysis, lab-on-chip microfluidics, and high-sensitivity cell-injection use. Easily programmable internal software supports anything from simple runs to variable, multi-step volume and rate profiles, and can be controlled remotely to streamline laboratory operations. 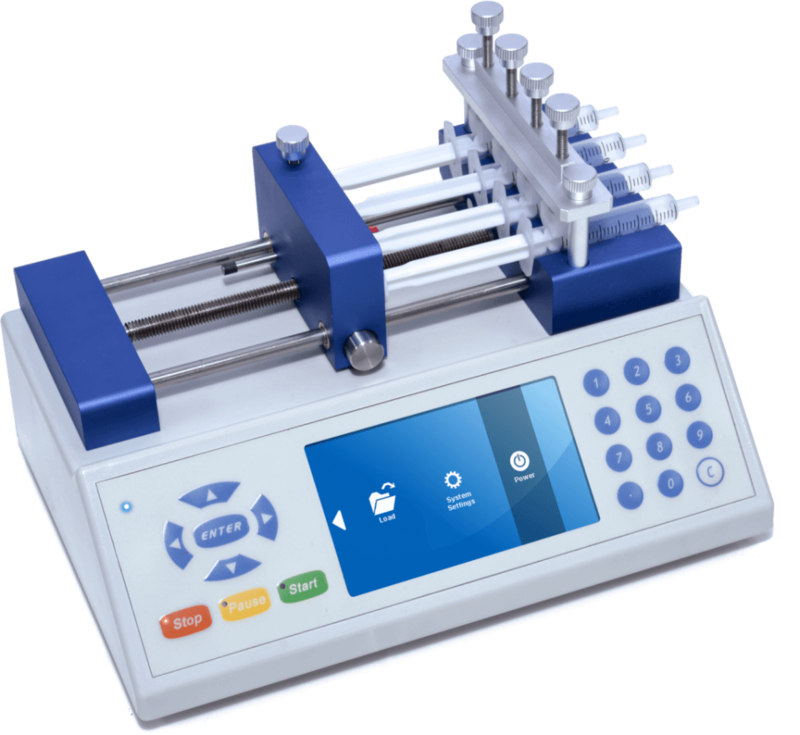 Designed for microflow volumes with an incredibly small 0.016-micron step resolution, this highly precise fluid-delivery tool ensures smooth, stable flows at low, reproducible rates.